Something incredible has washed up on the coast of Argentina. 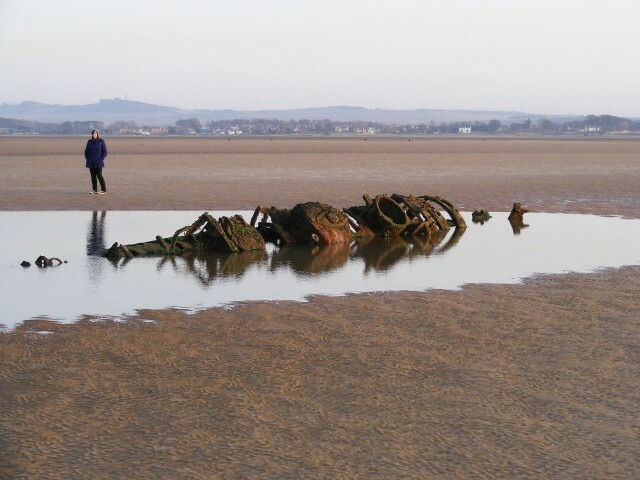 Researchers believe it to be the remnants of a World War II German submarine or midget U-boat. What historians and researchers find most fascinating about this find is that this submarine makes it difficult to deny that that Nazis did not escape the war and fled to Argentina. A historian in Buenos Aires, Fernando Martin Gomez, says that the submarine is a great discovery. The submarine has been hidden for 70 years but is in remarkable shape. Gomez stated that it is a particularly small submarine, which means it could have been used solely for Nazis fleeing to South America. He claims that there were about 5,000 Nazis that fled to Argentina, but this submarine would have been reserved for higher-placed Nazis. 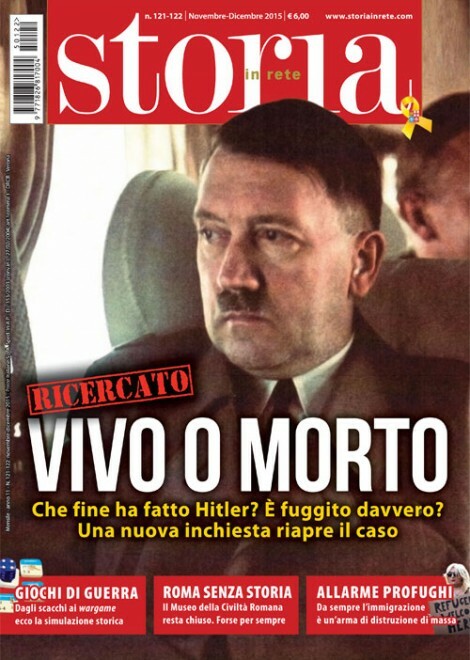 Vuoi saperne di più sulle leggende della fuga di Hitler in Argentina? Leggi Storia in Rete n. 121-122!! What Gomez seems to miss is the fact that Nazi Germany has produced a range of miniature submarines that were supposed to be used to counter an Allied invasion. One of these midget submarines was The Biber (German for “beaver”). These were armed with two externally mounted 21-inch torpedoes or mines, they were intended to attack coastal shipping and were the smallest submarines in the Kriegsmarine. The Biber was hastily developed to help meet the threat of an Allied invasion of Europe. This resulted in basic technical flaws that, combined with the inadequate training of their operators, meant they never posed a real threat to Allied shipping, despite 324 submarines being delivered. One of the class’s few successes was the sinking of the cargo ship Alan A. Dale. The fact that high-ranking Nazi’s escaped to South America has been known for decades, even during the war the first Nazi’s that saw the end was coming started to setup Ratlines, escape routes for Nazis and other fascists fleeing Europe. These escape routes mainly led toward havens in South America, particularly Argentina, Paraguay, Brazil, Uruguay, Chile, and Bolivia. Other destinations included the United States, Great Britain, Canada and the Middle East. There were two primary routes: the first went from Germany to Spain, then Argentina; the second from Germany to Rome to Genoa, then South America; the two routes “developed independently” but eventually came together to collaborate. After the end of the war in Italy, “Spiritual Director of the German People resident in Italy”, Bishop Hudal became active in ministering to German-speaking prisoners of war and internees then held in camps throughout Italy. In December 1944 the Vatican Secretariat of State received permission to appoint a representative to “visit the German-speaking civil internees in Italy”, a job assigned to Hudal. Hudal used this position to aid the escape of wanted Nazi war criminals, including Franz Stangl, commanding officer of Treblinka, Gustav Wagner, commanding officer of Sobibor, Alois Brunner, responsible for the Drancy internment camp near Paris and in charge of deportations in Slovakia to German concentration camps, and Adolf Eichmann— a fact about which he was later unashamedly open. Vuoi saperne di più sulla “via dei ratti” e la fuga dei nazisti in Sudamerica? 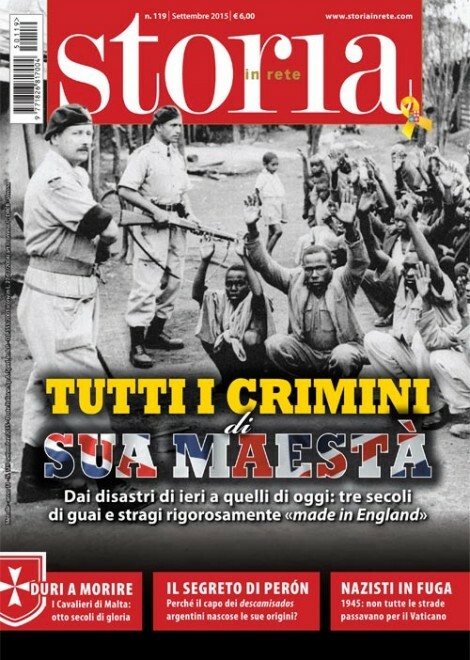 Leggi Storia in Rete n. 119!! Some of these wanted men were being held in internment camps: generally without identity papers, they would be enroled in camp registers under false names. Other Nazis were in hiding in Italy, and sought Hudal out as his role in assisting escapes became known on the Nazi grapevine. According to Mark Aarons and John Loftus in their book Unholy Trinity, Hudal was the first Catholic priest to dedicate himself to establishing escape routes. Aarons and Loftus claim that Hudal provided the objects of his charity with money to help them escape, and more importantly with false papers including identity documents issued by the Vatican Refugee Organisation. These Vatican papers were not full passports, and not in themselves enough to gain passage overseas. They were, rather, the first stop in a paper trail—they could be used to obtain a displaced person passport from the International Committee of the Red Cross (ICRC), which in turn could be used to apply for visas. In his 2002 book The Real Odessa Argentine researcher Uki Goñi used new access to the country’s archives to show that Argentine diplomats and intelligence officers had, on Perón’s instructions, vigorously encouraged Nazi and Fascist war criminals to make their home in Argentina. According to Goñi, the Argentines not only collaborated with Draganović’s ratline, they set up further ratlines of their own running through Scandinavia, Switzerland and Belgium. Argentinian Nazi smuggling became institutionalised, according to Goñi, when Perón’s new government of February 1946 appointed anthropologist Santiago Peralta as Immigration Commissioner and former Ribbentrop agent Ludwig Freude as his intelligence chief. Goñi argues that these two then set up a “rescue team” of secret service agents and immigration “advisors”, many of whom were themselves European war-criminals, with Argentine citizenship and employment. The Italian and Argentine ratlines have only been confirmed relatively recently, mainly due to research in newly declassified archives. Until the work of Aarons and Loftus, and of Uki Goñi (2002), a common view was that ex-Nazis themselves, organised in secret networks, ran the escape routes alone. Simon Wiesenthal, who advised Frederick Forsyth on the novel/filmscript The Odessa File which brought the name to public attention, also names other Nazi escape organisations such as Spinne (“Spider”) and Sechsgestirn (“Constellation of Six”). Josef Mengele, fled to Argentina in 1949, then to other countries, dying in Brazil in 1979. Remains exhumed in 1985 and probably destroyed.